FREE INSTANT ACCESS – ADD 5-10 MPH! Videos to help you throw faster and throw nasty pitches! Nicknamed “The Express” because of his blazing fastball, Nolan Ryan placed plenty of fear in Major League hitters. Baseball’s all time strikeout king (with over 5,000) as well as the king of no- hitters (seven); froze batters at the plate with his nasty curveball that dropped off the table. Growing up, There was no other pitcher that I enjoyed watching more than Nolan Ryan. I have great respect for Nolan because of his generosity, his unbelievable contribution to the game and impeccable work ethic. Take a look at Nolan’s pitching mechanics and how his delivery truly is a work of art. Check out his impressive leg lift; how his knee darn near connects to his left ear. I say impressive because he is able to maintain his balance without rocking back to the heel of his pivot foot with that high of a leg lift. His head stays aligned with his center of gravity. Many youth baseball players struggle maintaining balance during their leg lift because of lack of core stability and strength, lack of knowledge (they don’t know better) and a variety of other reasons not related to mechanics. As you see in this video clip, Nolan maintains this balanced posture on his way toward home the plate as his glove and throwing arm create a perfect equal and opposite position. Equal and opposite means that the glove arm matches or is equal to what the throwing arm is doing. In other words, the glove arm is a mirror image of the throwing arm. This pitching technique helps maintain proper balance. Without balance pitchers lack control and velocity. Nolan Ryan is one of the most remarkable pitchers to every pitch in the Major Leagues. Here is another article we wrote about Nolan Ryan regarding his seventh no hitter. It is so important while you are studying pitching mechanics that you learn the correct way to throw a baseball. Too many injuries occur because lack of knowledge. Nolan Ryan would work endlessly to make sure his body and mechanics were in the best shape possible. You can do the same! Pick up your own copy of our Pitching Mechanics DVD and ensure you are not only throwing properly, but you can throw faster with more accuracy! Looking to throw a curveball like Nolan Ryan? 3 Steps to Pitching Mastery? An Increase in Tommy John Surgery This Time of Year? Pitching Grips: Throw Knee Buckling Pitches!! Pitching Workouts: Workout Like MLB Pitchers! Coaching Pitchers: Create Winning Pitchers! Pitching Velocity: Massive Velocity Gains! © 2016 The Pitching Academy. All Rights Reserved. 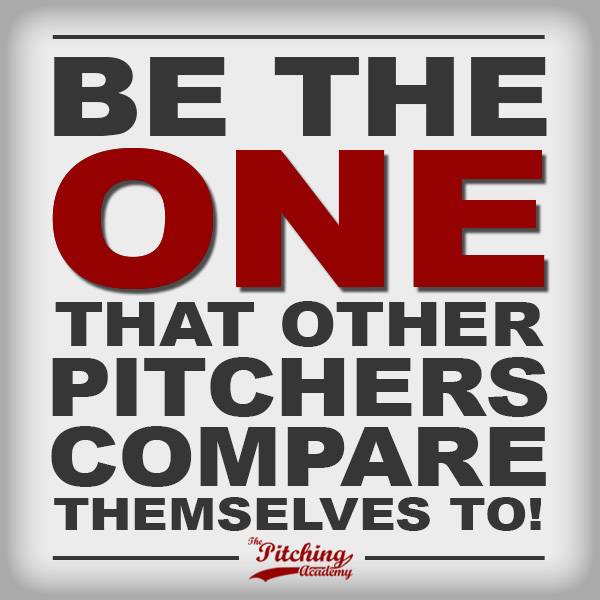 Are you 100% ready to throw faster, throw nasty pitches and play with a MLB mindset? This series covers pitching mechanics, coaching pitchers, pitching grips, pitching specific workouts, hitting mechanics and the mental game! 4 Disc DVD Series comes bundled with 3 eBooks.